http://www.fhwa.dot.gov/ctpp/ Census Transportation Planning Package (CTPP) is a set of special tabulations from the decennial census designed for transportation planners. CTPP contains tabulations by place of residence, place of work, and for flows between home and work. Not long ago, I heard about a client of Bernie Ryba (from the outreach office of the Stony Brook SBDC in Great River) who had an experience worth sharing with all of you. Bernie's client - a well-educated man - received a phone call from someone saying they were from SBA Express, and that his loan application had been approved, and that they needed his Social Security Number to finish processing. The client was somewhat confused, as he hadn't applied for any funding. However, he assumed that his advisor spoke with SBA, who in turn spoke with SBA Express. "They have 'SBA' in their name," he reasoned. "Why wouldn't they be legitimate?" With this in mind, he gave the rep his Social Security Number. It didn't take long for him to regret it. He called Bernie, and asked if he'd heard of the company. Bernie had not, and asked for the toll-free number they provided (1-877-545-2174). He called, and pretended to be someone looking for financing. He asked a rep, "Are you affiliated with the SBA?" And he was told, "No." The conversation ended quickly after that, as it confirmed Bernie's suspicion that it was a scam. He contacted his client, and told him to get in touch with his bank (fortunately, he didn't have any existing credit cards to his name) and monitor his accounts, as well as to file a police report. He sent the client a copy of this article, and told him of the IdentityTheft 911, Web site that (among other things) helps victims of identity theft. And he was good enough to speak to me at length about the case. So far, the client hasn't experienced any catastrophic loss from divulging his SSN, but he waits & wonders if the other shoe will drop someday. For additional information, Roger posted a blog on identify theft on 6/28/05, and Mary Beth had some input in a posting on 11/10/05. Also, Roger has a series of PowerPoint slides on the subject that he put together for a presentation at the 2003 ASBDC Conference. Give him a call if you're interested in seeing them. Read the complete article at http://www.freepint.com/issues/050106.htm#tips for more discussion on the seven deadly sins as well as a list of Seven Desirable Strategies. HEALTH FOOD STORE – see VITAMIN. . .
Rhonda Abrams is a businesswoman who writes a syndicated weekly column about entrepreneurship, printed in several newspapers across the country as well as appearing online. She's a big fan of the SBDCs, as this column will attest. Synergos Technologies "If you’re thinking of doing business in a location, or just going on a business trip, you’ll find this website a quick and easy way to find information about that city." Some of it is Census data, but other data includes weather, school districts, and travel distances to other cities. "Need to know what state laws apply to your business? Find a link to your state and local governments at these websites." Industry association links: "I think trade associations are an amazing source of information, data, and advice for entrepreneurs; since I couldn’t find an easy-to-use list of associations on the web, I compiled one myself and put it on my website." This is VERY useful, especially if you don't have access to the Encyclopedia of Associations or its electronic equivalent. Angel Capital Association: "Check this website for a directory of angel capital groups – perhaps you’ll find one in your area." 1) "Blackberry Picking," by James Surowiecki, from the 12/26/05 - 1/2/06 issue of The New Yorker. Surowiecki examines the recent case involving Research in Motion (or RIM), the Toronto-based company that brought the BlackBerry technology to widespread use. In this piece, he discusses the phenomenon known as "patent trolling," whereby small companies with patents find their fortunes not by bringing their creations to market, but rather by suing for infringement those companies that expend the effort. In addition, the author cites data showing that understaffing at the USPTO enables patent trollers to thrive. 2) "Competition, Innovation, and Racing for Priority at the U.S. Patent & Trademark Office," by Linda Cohen and Jun Ishii, from the AEI-Brookings Joint Center for Regulatory Studies. This 45-page study challenges the long-standing American belief that awarding patents to someone who is "first to invent" is more entrepreneur-friendly than those nations (particularly Japan & those in Europe) who award inventors who are "first to file". Instead, they argue that the "first to invent" method delays the introduction of new technologies. Their paper isn't going to change the way the USPTO does business, but this has been an ongoing debate in the intellectual property community in the U.S. Most of the articles I come across on networking have to do with job seeking, but it seems (from what I hear from advisors), that our clients can often benefit from these skills as well. They can meet a variety of people, often building knowledge of their industry. It is a method of low cost advertising and a way to find bartering opportunities, maintain relationships with other professionals, potential clients and gain referrals. …Call those you meet who may benefit from what you do and vice versa. Express that you enjoyed meeting them, and ask if you could get together and share ideas.. . Explains how people really get jobs and referrals. A pie chart shows that nearly half of all job seekers reach the right people through networking followed by cold-calling which came in second (24%) for being the best way to get in the door. The importance of networking can also be applied to makig contact with clients and services. Although a career site, this one also has a list of networking sources on the web and best practices. “You may think of networking -- making new contacts and spreading the word about yourself or your company -- as slogging to trade shows or meet-and-greet cocktail parties to shake hands and exchange business cards. We all know that certain items go on sale at different times of the year. Here is a list of items that regularly go on sale- when and why. Most of these are common sense. Most items go on sale at the beginning of the season they are used in, due to competition. They also go on sale at the end of the season during clearance sales. There are also traditional sales, probably started to fill in the gaps, and inventory clearance sales at the end of the year on almost everything. *Winter clothes- inventory clearance of clothes, shoes, boots, purses and other seasonal items. *Holiday Clearance- the festivities are over for while. Look for sales on all holiday or festive items. *This is a great time to buy wedding gifts or gifts for children. *January White Sale- The traditional sale for linens, towels, bedding, etc. *Garden Supplies- Competition brings down the prices this month. *Luggage- competition as people prepare for vacations. *Spring Clothing and Shoe competition. *Storm Windows are now off season with better price negotiation. *Winter Outdoor recreation equipment - going out of season. *Lots of new, seasonal clothes. *Clearance on Easter dresses and accessories, as well as men's suits and ties. *Traditional White Sales on linens, blankets, towels, eta. *Spring Cleaning competition on supplies. Good time to buy a mop! *Tires- competition as people start preparing their cars for vacations. *Home Maintenance items,as the season begins to spruce up homes. *Spring competition in buying new handbags, replacing lingerie, other light clothing. *Refrigerators- got to have a good one in the summer. *Continued sales on home improvement products. *Large items like pianos are not selling and very negotiable. *Home appliances-more home improvement competition. *Rugs and carpets- home improvement competition. *Radios and stereo equipment- summer fun. *Furniture, lamps, and other household items-last shopping trip before winter competition. *Traditional White Sales (as above). *Clearance on outdoor sport equipment. *Clearance on seasonal items such as barbecues, air conditioners, fans, lawn mowers. *Outer Wear Competition . *Summer clothes clearance . *New car clearance to get ready for the new models. *Back to School Items: Clothes & Supplies. *Gardening Supplies (the end of the season close-out). *Household Accessories, such as rugs, lamps and dishes. *School clothes and supplies clearance (stock up for next year). *Cars- getting ready for the new models. *Finer household items like crystal and silver- in anticipation of the holidays. *Winter is Coming Items- Coats, Boots, Gloves, eta. *Toys- lots of competition to bring down the prices. *Winter Items to keep warm still on sale. *Festive Occasion Items on sale-Tablecloths, gift items, party ware. *Day after Christmas Markdowns- Everything from toys and wrapping paper to clothes. Business & Company Resource Center-includes company profiles, brand information, company histories, SEC reports, periodical articles, and links to relevant Web sites. New York State Newspapers-includes the following seven full-text newspapers from around New York State: Buffalo News, New York Times (from 2000 on), New York Post, New York Observer, Syracuse Herald American, Syracuse Herald-Journal, and Post-Standard (Syracuse). The International Telecommunications Union (ITU), whose mandate is “to maintain and extend international cooperation between all its Member States for the improvement and rational use of telecommunications of all kinds” and with members across the globe, they are well placed to offer reliable information relating to the telecommunications industry. You can find maps and graphs, statistics on the number of telephone lines, broadband penetration, and mobile cellular subscribers among other ICT indicators for most countries you can think of. They also have a who’s who directory, and a section on industry regulations in this densely packed site dedicated to telecoms issues and developments. Publications include the World Telecoms Indicators 2004; and the ITU Internet Reports 2005: The Internet of Things as well the practical guideline handbooks dealing with security issues or regulations and standards. Based in Switzerland, the reports available for purchase or download are in Swiss francs. Some employers have made the fateful decision to furlough their employees, only to hire them back as "independent contractors" to avoid governmental obligations that an employee requires, such as matching Social Security payments. Can they do that? Well, "it depends." In late December, I heard from a woman named Mary Redmond. At the time, Ms. Redmond was the Acting Director of the New York State Library. In addition, she serves on a committee called the Government Information Roundtable for the New York Library Association, or NYLA/GIRT. If you recall, the book serves as an introduction to the value that an effective sign can provide a small business. It took the better part of eight months to create. It is the result of work done by myself, Mary Beth Bobish, and Josee Fonseca, with invaluable design work done by SUNY Central Administration's David Schillinger. If you were with the SBDC in April 2004, then you should have received a copy of this book. If, for whatever reason, you don't have a copy, then let me know, and one can be mailed to you. Very soon, a Web-based version of this book will be made available to the world. More on that in the near future. This monthly newsletter provides current events, lender reports, and up-to-date information on SBA programs and small business issues. Inside Region 2 is a quarterly newsletter focusing on SBA news in New York State, New Jersey, Puerto Rico and U.S. Virgin Islands, as well as program and policy updates from SBA headquarters in Washington, D.C.
Be among the first to receive emails with Agency approved, time-sensitive information regarding SBA's business loan guaranty programs. SBA's Office of Government Contracting offers this newsletter to help small business owners understand how to market to federal agencies and private industry. The Office of Veteran's Business Development's quarterly newsletter provides veterans and service disabled veteran entrepreneurs with up-to-date information on all of SBA's programs and services, available resources and related small business issues. It's easy to subscribe. Visit http://web.sba.gov/list/. "The comprehensive source for current information on federally-certified minority and woman-owned businesses." Business Research Services, publishers of business directories and electronic directory products, offer this online service, searchable by company name, industry and location. They also publish the Set-Aside Alert, a newsletter for small, minority, and woman-owned business issues and contracting news. BRS also create custom-generated electronic directories for a fee. The Source for locating minority and women owned businesses. “The MWBE directory is a comprehensive on-line directory of Minority and Women owned business enterprises. The MWBE directory provides a platform for corporations to promote their dedication to diversity while providing an information portal to access vital, timely information about Minority and Women owned business enterprises nationwide. The MWBE directory is not an on-line bid service; it is a searchable database of the most up to date information on Minority and Women business enterprises. When you have a reference question, please call the Research Network at extension 149 or e-mail the Research Network . Each of us have days that we do telephone coverage. We really prefer that, in most cases, that you call us with your reference query. It may be a bit of an interrupter in terms of working on questions, but the tradeoff is that we believe that we get a better understanding of the query. However, when you call an individual librarian who may be out, or may be trying to work on getting the reference out, it slows up the process, for the librarian, and ultimately, for you. If you have a complex reference question and no one is available, please leave a number so we may call back. It is a rare occurrence that none of the librarians are available, but it does happen: staff meetings, building fire drills, or occasionally, when we're all already on the phone. Leave us a message; we will call you back. Please do not leave us a detailed listing on the phone of the question itself, which 1) usually takes three or four playbacks to write down and 2) inevitabily, some important piece of information is missing. If you are getting a lengthy reference question via fax or e-mail from your client, please analyze it. We have received questions with 30 or more bullet points, (REALLY), and we are forced to wonder whether the client actually needs to know all of those items at this point in the business cycle. Make sure the questions make sense to you, the advisor, because if you, who have met with the client, don't understand them, we, who try to parse this information from the narrative, probably won't. Client questions are often filled with jargon, and we'd appreciate an English translation. Also, with other advisors to serve, we often don't have time to work on questions with 30 or more bullet points, so we will have to make our determination as what we think is most important, or most accessible. Please provide a case number, or at bare minimum, a client name. Now that we are inputting our statistics, we can't send out your question until we've entered your record. Don't clutter our desks further with your completed questions awaiting a number. Generally speaking, we work on a FIFO method, first in, first out. Can we bump a question ahead? Sure, but at the cost of time to others in the queue, possibly including another of your clients. Please use "I need it right away" sparingly. Why do you get some responses out of chronological order? Sometimes, on a Friday afternoon at 3 pm, I'll look for "easy" questions that I can finish before 5 pm. Personally, I don't like to start a question on a Friday and finish on a Monday, because I have to review what I've already done. Therefore, I'll look for requests for business lists, business plans, or other concrete items and get them out. PLEASE do not give out our e-mail adress or phone number. 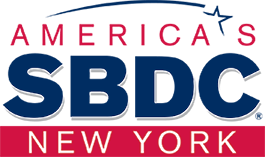 We can only answer questions that come from NYS SBDC. Any other questions about how we do things? Please ask. We really don't bite. I'm not a strong believer in waiting until January 1st to create a list of tasks whose completion is to be a test of my resolve. Challenge and self-improvement are year-round endeavors. 1. Reduce the turnaround time. For a variety of reasons, it's hovering around three weeks right now, which is unacceptable to all of us. Talk about a year-round endeavor - this has been at the top of our list for several years running. 2. Finish the signage Web site that preoccupied all of 2005 (this is near & dear to me especially). 3. Explore what it takes to get a working Geographic Information Systems (GIS) program up and running. 4. Integrate our collection (and collective ability) with other libraries in the area to augment the number of resources to answer client queries. 5. Work with each of you to better streamline the information asking (and receiving) process. 6. Keep on blogging, and to develop a search mechanism to help you find posts from the recent past. 7. Get a version of our circulating collection (i.e., those items that we can lend to you) on the SBDC's Internal Web Site. 8. Cooperate with SUNY at Albany to keep the libary interns coming through our door (they're really a big help). I'm sure there are more, but this is ambitious enough. I can't promise that each of these will be met in the next 12 months, but they are the reasons we keep coming to work every day. Best of luck to all of you in whatever resolutions you make, and have a safe, adventurous new year.